Specialized conferences and events are an invaluable source for forward-thinking business owners and innovators to expand their horizons and stay on edge of the latest industry trends. Ecommerce merchants and Magento developers can seize this opportunity to gain valuable insights into their field, get ideas on how to revamp existing business strategies, and, of course, build new business partnerships. Aitoc team has prepared a brief overview of the most exciting industry events that will take place in 2018. Looking for a way to meet new people and extend your domain knowledge? Then it’s high time for you to add these meetups to your schedule. We have split the list into two major categories: Magento and Ecommerce & Retail so that you could have a look at the ones most relevant to you. 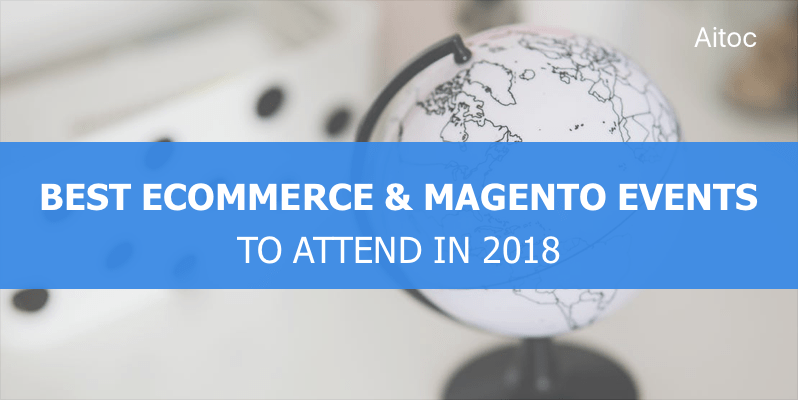 Here are the top Magento and Ecommerce conferences and events worth attending in 2018. Held annually, Magento Imagine is one of the biggest and most important conferences for the entire community. In the upcoming year over 3,000 industry innovators, developers and online retailers from all over the world will come to Las Vegas to take part in special sessions, discussion panels, and keynotes. Live-time experience is guaranteed! Complementing the Imagine conference, MagentoLive is a set of engaging events providing an opportunity to meet technology experts, industry leaders, and Magento executives. In 2018, MagentoLive local conferences will take place in Sydney, Australia, and Barcelona, Spain. A multitude of sessions, networking activities, exhibits, and, of course, parties, hosted under one roof. Meet Magento Association aims to engage and support online retailers, developers, service providers, and everyone else working with Magento. Over 40 different kinds of Meet Magento events are held annually across the globe. The main conferences of 2018 will be organized in India, UAE, Italy, Netherlands, Germany, and Croatia. Take your chance to get the latest Magento news and tips and connect with the industry leaders! Mage Titans is a community event showcasing leaders in Magento development along with the rising stars. This year, Mage Titans comes to Mexico again. 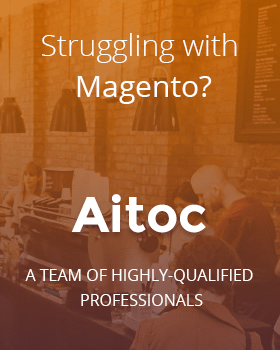 The event will bring together Magento developers to interchange their knowledge and experience within the framework of a conference and a workshop. As a bonus, a specialized Magento 2 development course will be offered to all participants. Even though it is not dedicated solely to Magento, Open Source Convention is still worth mentioning on this list. OSCON is an international gathering where open source developers, business owners, and investors find inspiration and share their expertise. Artificial Intelligence, blockchain, cloud technologies and many other trends are some of the main topics of the conference. A must-visit event for sure! Savant events unite forward-thinking professionals aiming at revolutionizing the ecommerce field. In 2018 the congresses will be held in three European cities: Berlin, Amsterdam, and London. During real-life showcasing, interactive panel discussions and think tanks attendees will get new insights from industry speakers, meet senior-level executives and make new business contacts. Quality coffee breaks, cocktails and award ceremonies are also included! Are you based in Australia or New Zealand? Then we have two attractive options for you. Online Retailer is a premium conference and exhibition that offers invaluable content to tech-savvy retailers. Become a part of the community to keep on the edge of innovation! The world largest Retail & Ecommerce conference! 7,500+ attendees, 3,000+ companies, 300+ speakers – ShopTalk will unite their US and European events into one international gathering to create the industry’s first global community. Startups, world-known enterprises, huge investors and impressive sponsors. It seems like everyone is going to be there. Don’t miss it out! IRE is the UK’s biggest multichannel retail event. 100 hours of conferences, workshops, and consultations provided by highly experienced industry leaders. And one more thing, participants will be enrolled in the UK’s largest multichannel education program for free! A 3-day growth and conversion optimization event. True practitioners will provide attendees with their best and newest tips. High quality networking, learning, and discussions are planned. And what’s more – the full Hyatt Regency Lost Pines Resort and Spa is booked for the event. Just imagine! One of the largest multi-brand exhibitions and conferences in the Middle East, Seamless will welcome leading merchants, enterprises, banks, fintechs, and tech startups to collaborate and share the experience. The focus will be made on ecommerce, new types of payments, digital ID and blockchain, and many others. Europe’s leading event for the retail industry, RBTE is the must-attend exhibition for retail and hospitality organizations looking for the efficient solutions and innovations to run their business best. The conference program includes 2 days of seminars and sessions, delivering inspiring content across multiple retail aspects. Sellers Summit is a 2-days ecommerce learning conference full of workshops and sessions. Ecommerce business owners will share their success stories, providing specific details on how they managed to make their ventures really work. We believe online merchants residing in Scandinavia have already heard of this exciting event. The goal of the gathering is to provide the Scandinavian e-commerce professionals with valuable industry knowledge. Influential speakers from around the world will come to share their hands-on experience. Gold Coast Conference & Exhibition aims at helping ecommerce retailers in Australia to boost their online sales. Over 100 speakers will conduct master-classes and workshops based on the success stories of world leaders like Amazon and eBay. 87% of attendees report a positive increase in turnover by attending the conference with an average increase of 17.5% attributed directly as a result of attending. Are you still having seconds thoughts about getting your tickets? The Internet Retailer Conference & Exhibition is the one-stop-shop for all of your online retail needs. This conference and trade show offers everything a business needs to stay on the edge of the latest industry trends and beat the competition. eTail is designed to help online commerce businesses to optimize their profits. In 2018 the events will take place in Europe and the US and unite world-known companies along with promising startups. A cool event where ecommerce marketing heads can share their advanced strategies. The summit’s agenda is created in such a way so that to encourage deep peer-to-peer collaboration between the attendees. Shop.org’s educational program will keep you ahead of the curve and provide you with insights into the digital retail industry. Tech lab, retailer networking, exhibitions and a plethora of other activities will upgrade your domain knowledge and expertise to a whole new level. eCommerce Expo is a unique event that covers the entire ecommerce industry, connecting both B2B and B2C buyers, suppliers and other industry leaders. The event is must-visit for anyone who wants to find actionable solutions that will drive their business to success. We hope that you will find this list useful. Participation in the above-mentioned events will surely provide you with a wealth of new experience and insights that can be redirected to your actual business processes. However, even if there’s no opportunity for you to attend any of these conferences, still keep your eye on the ball. Organizers tend to publish key takeaways and findings after the event takes place. So be sure to check out their websites from time to time – you might get valuable information at no cost.